Did N.Y. cold case murder victim have ties to Ga.? LIVINGSTON COUNTY, N.Y. -- Investigators say they have a new lead in a New York cold case murder that could take them south, reports the Rochester Democrat & Chronicle. 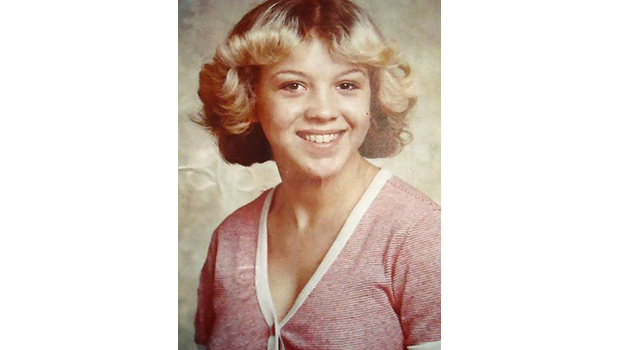 Tammy Jo Alexander was 16 when she was found shot to death on Nov. 10, 1979, in a cornfield in the rural town of Caledonia, southwest of Rochester. For years, the teen had remained unidentified - investigators learned her identity through a DNA hit early this year. The girl, who was born in November 1963, disappeared between 1977 and 1979. She had last lived in Brooksville, Florida and investigators suspect she had run away from home. Alexander's pockets had reportedly been turned inside out, she had no identification and any possible evidence from the scene had been washed away by rain. The investigation reportedly became the largest criminal investigation in the history of Livingston County, N.Y., and detectives have followed up on "tens of thousands" of leads since the murder. The case had heated up since her identity was announced in January, and investigators are now turning the focus of the investigation from identifying the victim to identifying her killer. Officials say they are probing her ties to a Georgia-based prison ministry, reports the paper. Little public information is available about the now-defunct Rainbow Prison Ministry, which operated out of Young Harris, Ga., in the northeastern corner of the state, reports the paper. However, investigators have made a connection between Alexander and the ministry. Georgia resident Larry Chandler, who now owns the property where the ministry operated, told the paper the ministry director and his wife are both deceased. The director used to provide housing in a cabin on the property to prisoners he ministered to once they were released, Chandler told the Democrat & Chronicle. Investigators are looking for anyone who may have been connected to the ministry, especially in 1979, reports the paper. They have also reportedly visited Alexander's hometown in Florida along with the FBI, and plan to return. "The leads are continuing to come in," Chief Deputy Sheriff Matthew Burgess told the paper. "We have so much ground to cover, with different jurisdictions between here and Florida." Anyone with information is asked to call the FBI's Toll-Free Tipline at 1-800-CALL-FBI (1-800-225-5324), Livingston County Sheriff's Office at 1-844-THE-LCSO (1-844-843-5276), or their local FBI office.